It’s estimated that on a household level, families throw away 14-25% of the food they buy. Imagine saving up to a quarter of your food budget instead of tossing it out! In addition to financial savings, reducing food waste at home is one of the best things you can do to help combat climate change. Food waste is a global problem—uneaten food rotting in landfills accounts for 8% of global greenhouse gas emissions. Reducing food waste ranks third on the top 100 potential solutions to climate change identified by researchers at Project Drawdown. Food gets discarded at every point from farm to fork—but in the United States, our single largest opportunity to improve is at the household level. Here are a few favorite tips for reducing food waste at home. Knowing how to store each item can be tricky, but it is key to making sure your food is still fresh and healthy when you’re ready to use it. We’ve got a handy produce storage guide you can reference, or visit Save the Food, a website with tips on keeping different foods at optimal freshness. It’s usually pretty easy to identify when perishable items have gone bad, your eyes and nose can be your guide. But what about all those “best by” and “use by” dates on packaged foods? With the exception of infant formula, these are usually the date by which a company will stand by the freshness of their product, and nothing more. Properly stored and unopened, canned goods and sealed packaged items can be safe to eat for years. “Sell by” dates, which are also found on perishable products, are used by grocery store staff to keep stock fresh. There is time built into these dates—assume up to 3-5 days of freshness beyond the date and remember to consult your eyes and nose before pitching anything out. Fruits and vegetables that are a little less than crisp or are showing a little wrinkle don’t need to be bound for the compost bin, either. Many flagging veggies still make great soups or smoothies, or even in a sauté. Check out our guide for using veggie trimmings to make great stock. The bulk aisle is a great stop for anyone who wants to waste less—buy just what you need of a huge variety of items like spices, cereal, snacks, dried fruit and nuts, beans, grains, flours, chocolate chips, teas, even candy. Grocers wage a battle against food spoilage every day. Food co-ops are especially committed to diverting useful food from the landfill—the average food co-op donates twice as much food to food pantries as similarly sized grocers. Food Waste’s Most Wanted – Start Here to Reduce Waste! Not all foods are wasted equally, check out commonly discarded foods and how to save them. 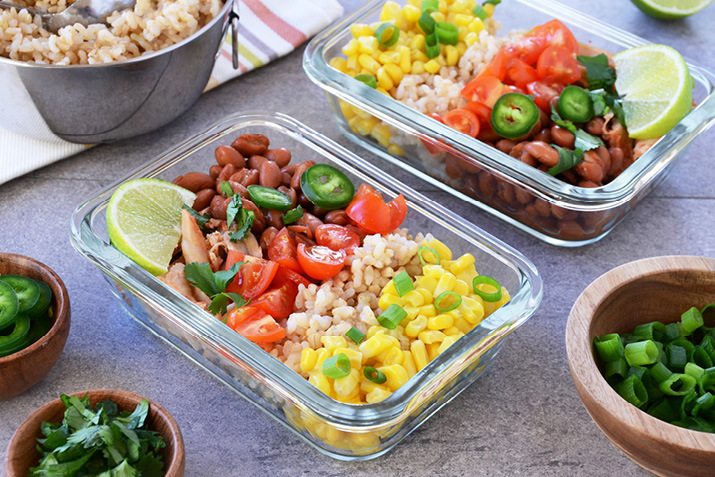 The most commonly discarded food is leftovers—buy storage containers that fit one meal at a time and immediately package your leftovers for real-life meals (like lunches) when cleaning up. Freeze one or two portions so you don’t get tired of eating a dish before it goes bad. You’ll love it next month! Buy a loaf of bread, keep out what you can use in the next 3-5 days and freeze the rest. Bread from the freezer makes great toast, grilled cheese or French toast. Another option? We love this flexible bread and veggie casserole. Pay attention to how much you can use before it expires—instead of a half-gallon, maybe buy two quarts. The unopened one will keep longer. Use up extra milk in smoothies, milkshakes or even rice pudding. If stored right, potatoes are kept out of sight, making them easy to forget until they’re shrunken, sprouting or worse. Try prepping your favorite potato dish when you buy the potatoes, then freeze it—boiled and roasted potatoes freeze and reheat very well. Got a potato on the verge? Make soup. If your apple is wrinkly but otherwise intact, applesauce is easy to make and the homemade stuff will surprise you! A diced or grated apple is also a welcome addition to salads and great in a soup or smoothie. Read up on cheese storage. Buy cheese in chunks, rather than shreds. It’ll last longer and surface mold is easy to remove. If you find yourself with an excess of cheese, freeze! Firm cheeses freeze well; shred and freeze a pile for a future pizza or batch of macaroni and cheese. Fun fact: The rind on cheese – unless it is wax – is edible!